The dermatologists at Ogden Clinic Bountiful must perform a full diagnostic rash examination, including visual examination and lab tests, to identify the cause of your skin rash. 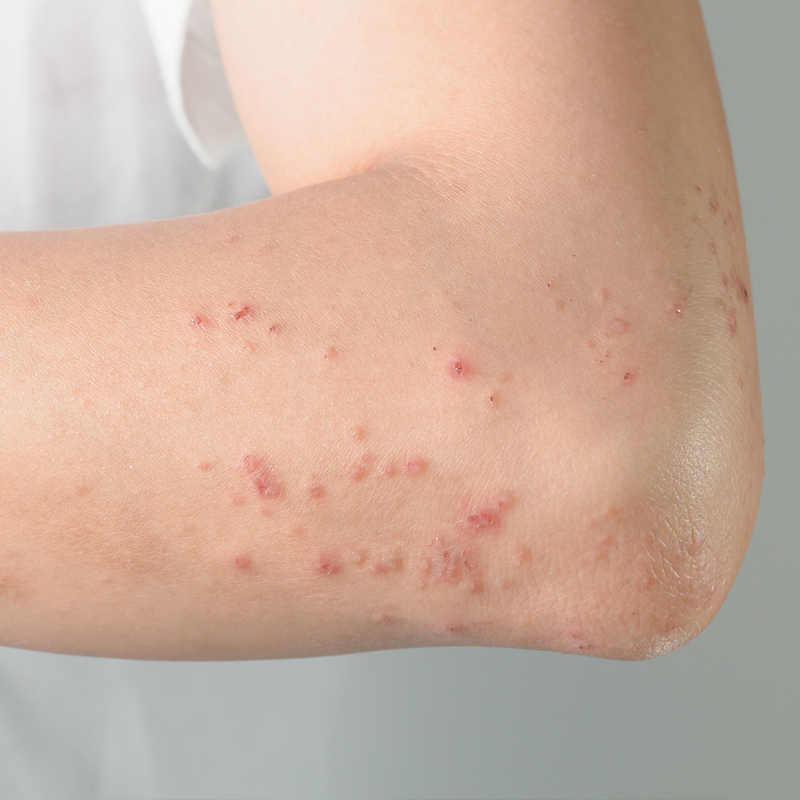 The rash diagnostic process often begins with a visual examination in Bountiful that allows your dermatologist to identify a preliminary diagnosis. To confirm this initial diagnosis, dermatologists often send skin cultures, biopsies and blood samples to the lab for evaluation. By having lab workers look at the collected samples under a microscope, and perform other helpful tests, your dermatologist can easily identify the factors causing the skin rash and come up with a beneficial rash treatment plan at our Bountiful Clinic. The first stage of the rash treatment process in the Bountiful clinic focuses on reducing itching, pain or other forms of discomfort caused by the rash. Your dermatologist may prescribe an ointment designed to reduce symptoms and potentially clear up the rash. The next step revolves around the treatment of any identified underlying causes, such as a bacterial infection or allergic reaction. Your dermatologist in Bountiful will prescribe skin rash medications or work alongside other specialists to help their patients reach a full recovery and find relief from skin rashes. Follow-up appointments will allow your dermatologist to adjust your treatment as needed to help you fully recover from the skin rash symptoms and its underlying causes. If you are suffering from a minor to severe skin rash, you do not have to live with the discomfort for a moment longer. Call our office at the number provided to schedule a visit. At Ogden Clinic Bountiful, we provide rash examinations and treatment services from your skilled and knowledgeable dermatologist. We look forward to helping you make a full recovery. 1560 S. Renaissance Towne Dr.